The South Caucasus (Transcaucasia) is an amazing region located on the border of Eastern Europe and Western Asia. It includes Armenia, Georgia and Azerbaijan. The region is famous for its hospitable atmosphere, incomparable Caucasian dishes, a large number of sunny days and majestic mountains. The inhabitants of this region are also distinguished by high moral standards and family values. If you have never been to the Caucasus and have no idea about its beauties we’d like to motivate you to make the South Caucasus your next travel destination. You can book Armenia Georgia Azerbaijan tour or you can organize it yourself and we hope our article will help you. Armenia is the oldest country in the region with a history that began long before our era. A country with such a rich heritage is a real treasure for lovers of historical monuments. It is a country of churches and ancient monasteries, the land of pilgrimage for Christians from around the world. Tourists come here to plunge into historical atmosphere, to enjoy mountainous nature and to feel real hospitality. The best months for a trip to Armenia are the end of May, June, September and October. The end of May is the most beautiful time of the year in Armenia. The weather is warm, mild and it is not hot yet. The rainy days are few.Visit Armenia in June to try the sweetest apricot and in September to taste other Armenian fruits, and take part in grape harvesting in October. What should you be aware of in Armenia? 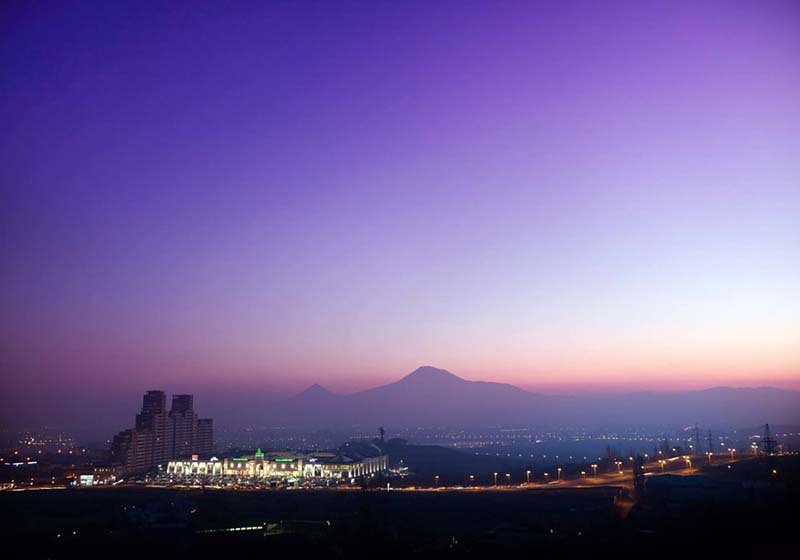 Despite misconceptions, Armenia is a modern country. Moreover, in terms of security, it is considered one of the safest in the world. In Armenia, Russian speaking tourists will not have any language barrier, young people also speak English. The most popular destinations in Armenia are Lake Sevan, pagan temple Garni, medieval monasteries Geghard, Tatev, “Wings of Tatev” cable car, Dilijan resort town, Tsaghkadzorski resort (a beautiful resort for winter recreation), Jermuk mineral waters, etc. In each direction, there is more than one historical monument, and in just a few days you can visit all the popular places. Armenia and Georgia are the only Christian countries of the South Caucasus. For centuries, the two countries had the same fate. They were always under the threat of attack by Muslim countries and had the problem merging with another religion. Fortunately, Georgia and Armenia managed not only to preserve their heritage and religion, but also to become strong and developed countries. Repeatedly the history of Georgia crosses with the Armenian history. The architectural heritage also carries traces of Armenian culture. 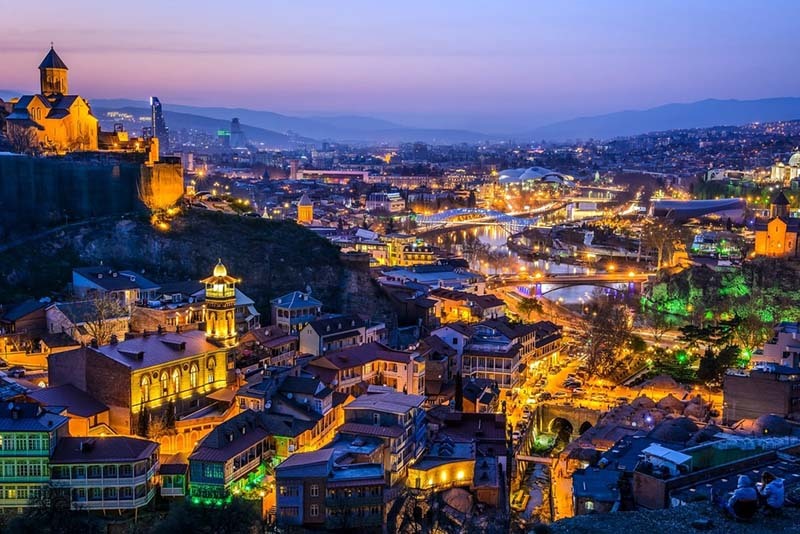 Both Tbilisi and Yerevan are considered the most beautiful and colorful capitals of the region. What is the best season to visit Georgia? The country is beautiful at any time of the year. Lovers of active recreation will be interested in the winter resorts of Bakuriani and Gudauri, the best place to get sun kissed skin is the beaches of the Black Sea in Adjara. Well, if you decide to take a trekking and camping tour in the mountains, Georgia is the best place with hundreds of routes in the mountains. Must do and must try things in Georgia? Wine in the morning, wine in the afternoon, wine in the evening and before going to bed. Between wine degustation you can taste Georgian dishes and enjoy a warm atmosphere. What should you be aware of in Georgia? The only thing to be aware of in Georgia is the extra pounds that you can get after tasting all the delicious national dishes. The national Georgian dishes are high-calorie with lots of local spices. After traveling through the two ancient Christian countries you will plunge into a completely different world. The Republic of Azerbaijan was formed in 1918; and such a young country is currently positioning itself as a strong powerful country. The first thing you notice when traveling around the country is the flag of Azerbaijan, it is everywhere. The national symbol decorates almost all the buildings in all the cities of the country. The country is very rich, all the cities look like in the picture and everything shines like a diamond. 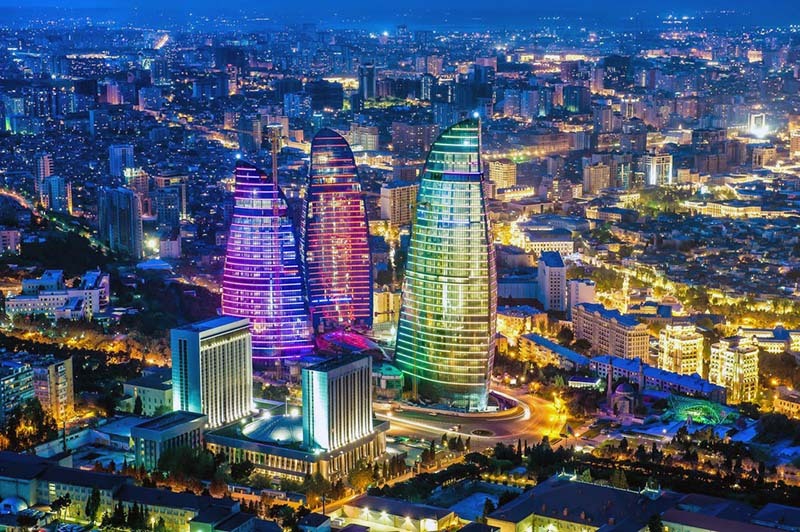 Night Baku is very beautiful with its bright lighting and chic buildings. What attracts travelers to Azerbaijan is the low prices for hotels and food. Also, tourists often book comfortable guest houses with a high level of service. Walking through the streets of the city; you will be immediately attracted by the smell of flavors of BBQ, kebab and other Caucasian dishes. The best time to travel to Azerbaijan is the middle of the spring and the beginning of autumn. In summer it is very hot here. In a young country, there are not so many historical monuments; the atmosphere itself is far from eastern culture; as, for example, in the Arab countries. The country has beautiful natural attractions; like mud volcanoes, waterfalls, mountain ranges and clean shores of the Caspian Sea. I hope the information above on visiting Armenia, Georgia and Azerbaijan was of help. If you need any further information, please feel free to ask in the comments section below; or at our Community Forum; and I will be glad to help. Thank you for sharing this information Cleber. If possible, please do share some pictures of your tip. Very interesting Vargis. Appreciate your write-up.